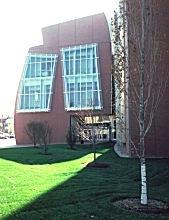 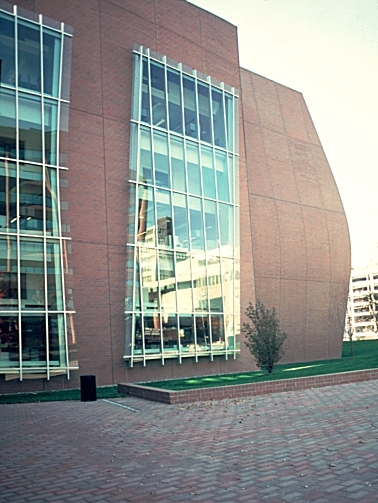 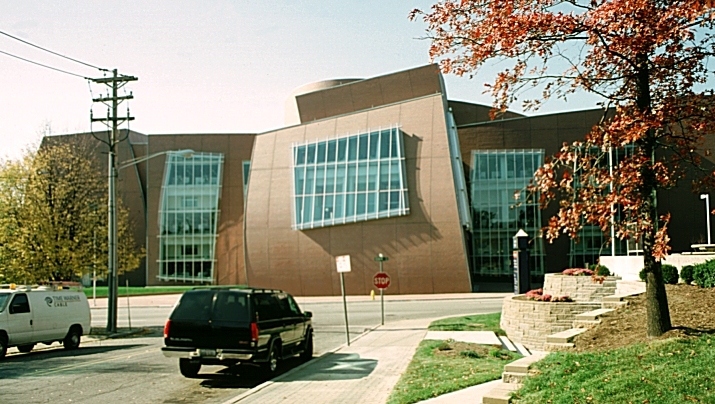 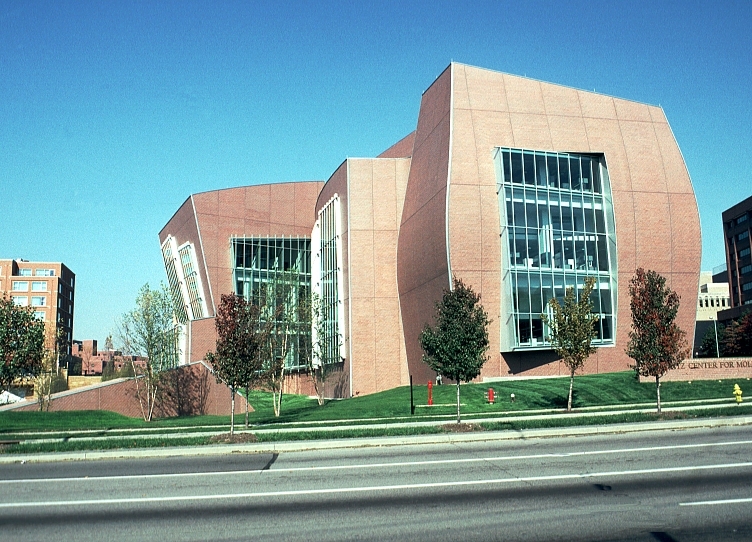 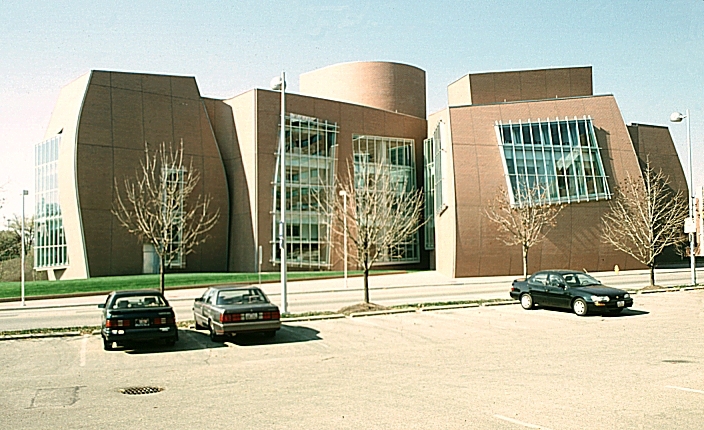 Images of the Vontz Center for Molecular Studies, University of Cincinnati, by Frank Gehry. 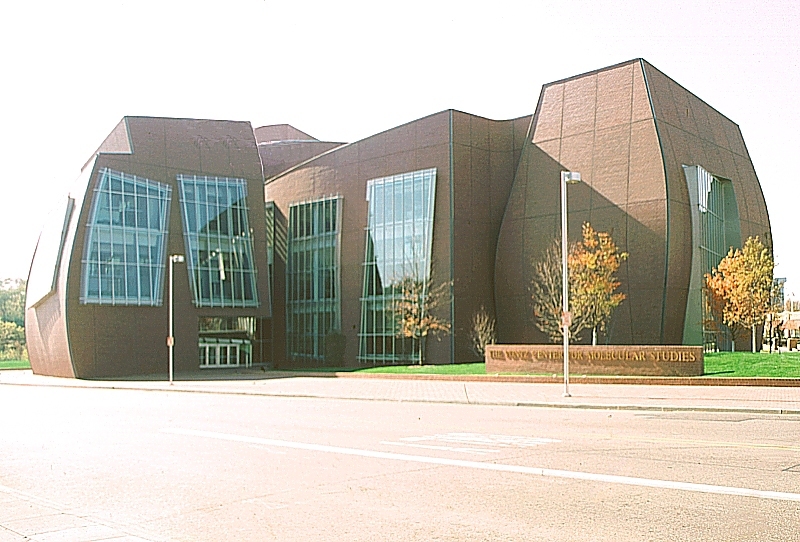 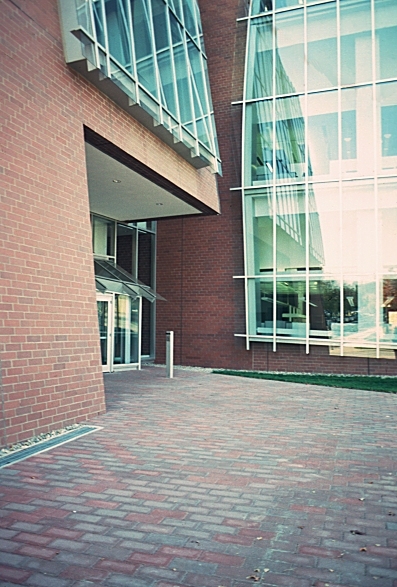 The Albert H. Vontz Center for Molecular Studies, a neurological sciences and cancer research laboratory, consists of 150,000 square feet with three floors of lab space, offices, lobby, and lecture hall. 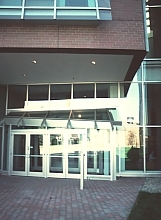 It is sited on 3 1/2 acres in the southwest part of the Medical Center Campus (East Campus) on the corner of Martin Luther King Drive and Eden Avenue. 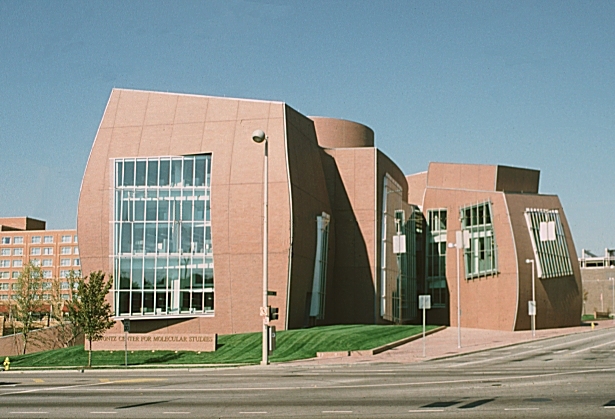 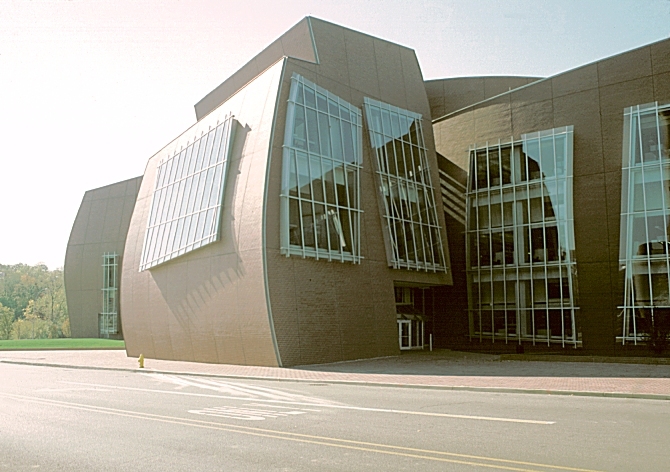 Built of red brick, it still has curved walls, skewed windows, sloping roof lines, and a sculptural look--all characteristic of the mature Gehry's style (a la the Guggenheim in Bilbao). See also views of west side and north side. 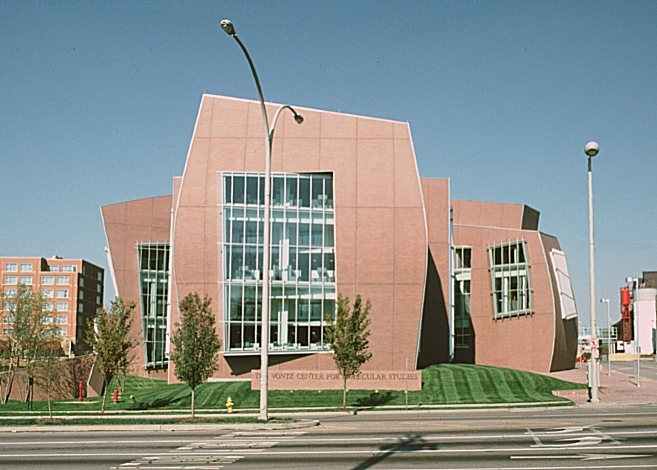 Other Gehry buildings on this site include: California Aerospace Museum, Edgemar Mall, Frances Howard Goldwyn Regional Branch Library, Indiana Avenue Houses, Norton House, Loyola Law School, Spiller House and University of Toledo Art Building.